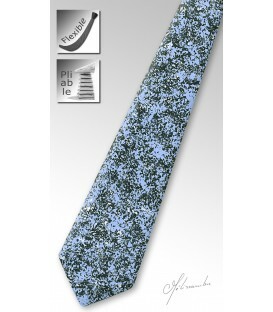 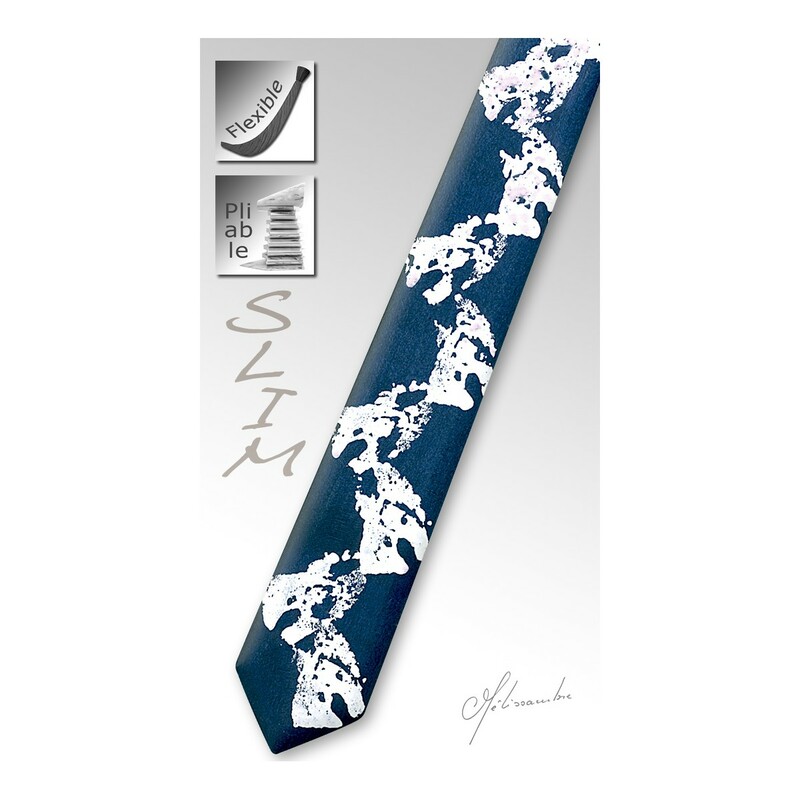 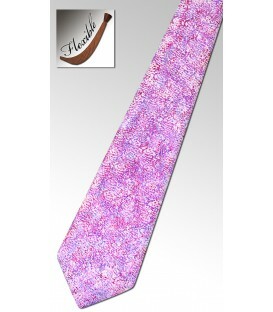 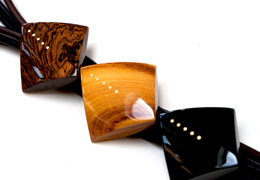 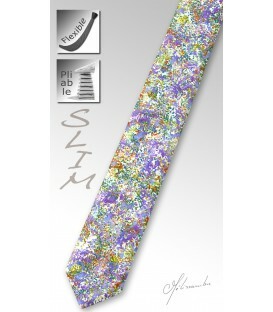 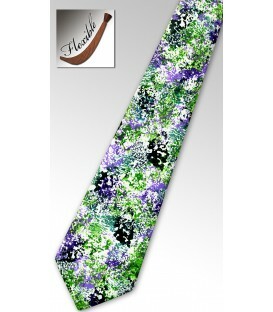 The pattern on this tie is an original creation painted on Sycamore wood. 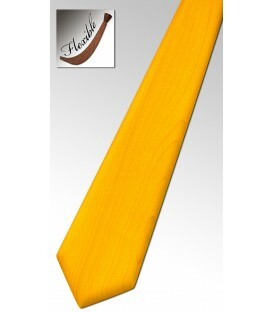 The tie gets its flexibility from its design in several sections. 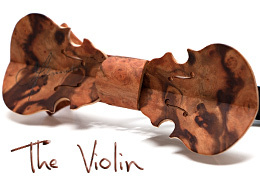 The articulations are almost invisible thanks to each element being meticulously adjusted and fitted. 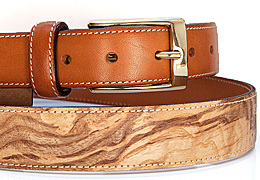 The tie fits around the collar with an adjustable band and a small hook. 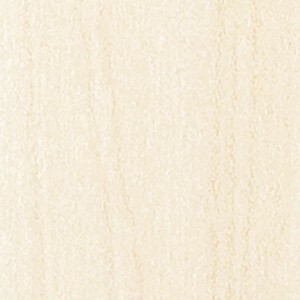 The surface is treated with a non-gloss varnish that gives it a high quality finish, preserves the woods natural look and protects it against soil. 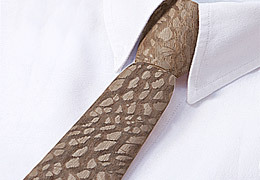 A gentle wiping with a soft damp cloth is the only cleaning necessary. 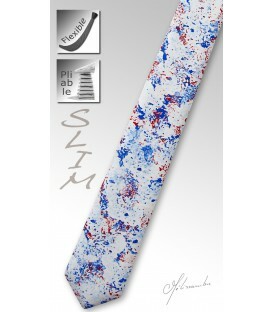 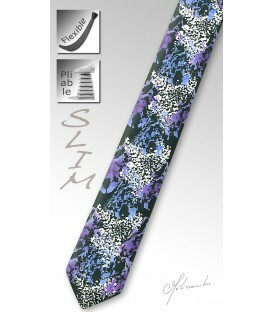 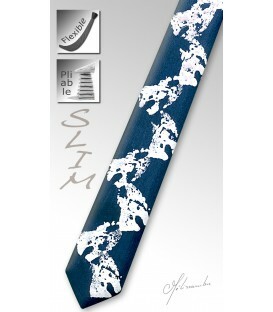 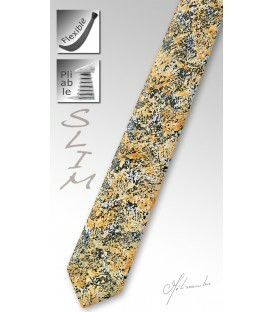 Ultra thin (3.3 mm or 1/8th inch), its weight (65 gr or 2.2 oz) is similar to a cloth tie.